Pacha Festival Amsterdam 2016 celebrates its 5 year anniversary on a brand new location. 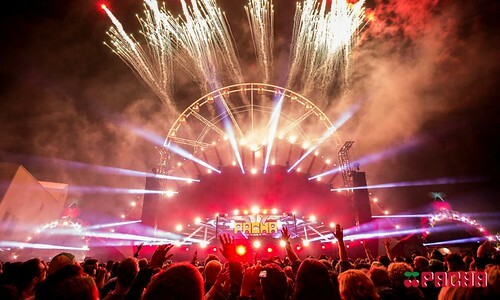 Due to the construction of a new hotel on its old Java Eiland location, the epic festival now takes place at the Arenapark in Amsterdam. The festival is organised by exclusive Ibiza club chain Pacha. The all-familiar shiny red cherries shall bring over its Balearic magic to the Dutch capital for the fifth turn, surprising visitors once more with some of the most beautiful stage dressing that can be found in Holland’s festival landscape. Combine this with the action-packed line-up and stunning entertainment, and you have a perfect recipe for a day to remember. Pacha can already reveal that at least two party concepts from the club will make their appearance during the festival. One is MY HOUSE, the brainchild of French superstar Martin Solveig, and INSANE. After a sold-out ADE edition of MY HOUSE, the acclaimed concept will return especially for Pacha Festival Amsterdam 2016. The INSANE stage on the other hand (known for the Friday nights at Pacha) last year was a huge success and will make its well-deserved return this year, sporting a line-up focussed more on underground house, tech house and techno. Due to the upscaled Pacha Festival Amsterdam 2016 terrain this year, the popular Ibiza hippie market and food village (including a sushi pop up restaurant) will now be expanded. Good news then for the shopaholics and foodies among us. Another advantage is that the new location is more centrally located and therefor more easily accessible by both public transport and car.